Campaigners welcomed news of the release of Palestinian footballer Mahmoud Sarsak after three years in an Israeli jail, but vowed to continue working for an end to the system of detention under which he and hundreds of others have been detained without charge or trial. 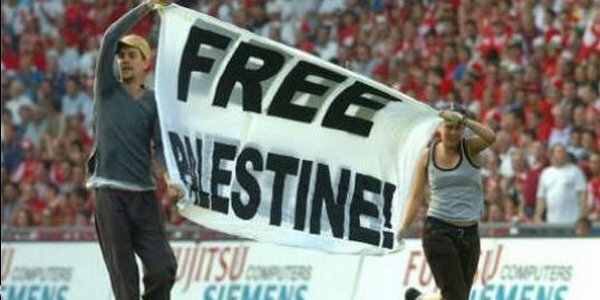 We, Palestinian footballers, athletes and sporting organizations and officials, are dismayed that Israel has been rewarded for its continued impunity and violent oppression of our people with the honour of hosting the UEFA Under-21 tournament in 2013. This decision is a drastic reversal of your brave stand just last year against Israeli attacks on Palestinian sport and its persistent violations of universal principles of human rights.